I probably would have loved this book ten years ago, but it's not my style anymore. On the plus side: the recipes are flavorful, there are some good ideas, and the vegetarianism is nicely pragmatic. What I don't like is that most recipes are sweetened (by sugar, or the addition of fruit) while most things that contain fat have their fat removed. Seems like the wrong place to find flavor to me. A quite nice twist on cream of tomato soup. I used full fat coconut milk and omitted the sweetener. I really liked this- it was a nice change of pace from a regular tomato soup and was so creamy it didn't seem vegan. (I used full fat coconut milk since that is what I had on hand.) If you can make it a day in advance, it is much tastier (cumin dominates the flavor profile the first day, but it mellows with time). Mushroom Stroganoff over cabbage "noodles"
Quite nice. Next time I will use (long-cooked) sauerkraut instead of the cabbage. Quite good. I'm skeptical of anything that sounds like trying to be an imitation of a non-veg dish, but this stands on its own well enough. Fundamentally, it's cabbage and mushrooms enriched with butter and dairy -- but in the dead of winter that's fine. Lighter than a noodle-based stroganoff. Optional squeeze of lemon is very beneficial. Used wombok and cooked it, added red and green capsicum and carrot. Quite delicious. Served it with barley dumplings as the recipe suggested but made them lactose-free for the girlie, who added sour cream to the whole shebang anyway. If I had known that she was going to do that, I'd have added a little cheese to the dumplings but I did add garlic to the onions that were cooked with the dumplings. An unusual combination, but a delicious, salty-sweet salad that satisfied my craving for fresh oranges. If you have persimmons, make this! It is one of the best desserts I have made in a long time. Fortunately I have a persimmon tree and I am going to freeze pulp some so I can make this all year long! It is spicy, creamy, and the brûlée finish really makes the dessert. Very nice combination of flavors. Used high-quality red wine vinegar & olive oil (used about half the recommend amount of oil). Roasted the asparagus. Definitely benefited from the optional lemon juice. Served on a bed of arugula and topped with a sprinkling of sheeps milk feta. I added some roasted pumpkin and toasted pecans, but otherwise as per recipe (leaving out cheese). Made a lovely warm salad which surprised & delighted the dinner table vegan guests. Did this one again, subbing in green skinned apple for figs. Very nice. Went well with the chargrilled tahini pork skewers.. The recipe turned out great, but it was a lot of work. This was amazing...i used it for a filling with phyllo dough and a blue cheese sauce, but could easily have eaten the entire dish on its own. The par boiling made it lose its shape a bit, but great. Nice but I like more crispiness to my Brussels sprouts. Very nice. Things to remember for next time-used the minimum sugar and that was plenty. Cooked the chocolate portion on the double boiler setup from beginning to end (recipe is vague on this point). Was uncertain when chocolate was done. When I stopped the chocolate was perfect thickness for a pudding and it firmed up quickly, but it seemed a little soft when served today. 1 cup chocolate chips =156 grams. Used 150 grams 52% and 6 grams 70 percent. Maybe go a bit darker next time. I would make this again, but it wasn't anything out of this world or "special". It calls for 2 tbs of butter. When she says melt the butter to cook the onion, she doesn't say only 1 tbs but when it comes to the last part, she says to melt the OTHER tbs of butter. Interview with the author Mollie Katzen. Who would enjoy this book? Anyone who enjoys fresh, vibrant vegetable-forward recipes. You do not have to be a vegetarian or vegan to cook from (and eat from) this book! Almost all of the recipes come with a lovingly detailed headnote full of hints as well as a list of optional "enhancements" for tweaking each to suit your taste or appetite. Katzen once again reminds us that simple, fresh, and flavorful vegetables can be inspirational as well as nutritional. I ended up needing to thin out the soup with extra water once the chickpeas were cooked. As written, it bordered on a stew, or even saucy beans. This is my new go-to kale salad. Each ingredient sings on its own yet come together for in each balanced, delicious bite. No problems at all. I used collards as my wrappers since they looked the best at the store. I would use chard leaves next time, though, because I found the bitterness of the barely cooked collards a little overpowering. I had my doubts about Katzen's polenta-cooking method, but it turned out to be a perfect way to render a thick, tender filling for the greens. This salad really couldn't have been easier, and I loved how the lemon and garlic permeated the earthy brown rice. 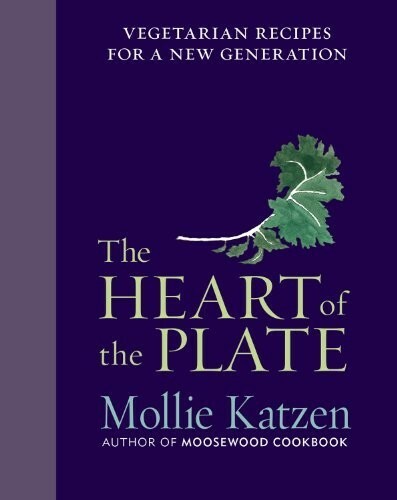 With The Moosewood Cookbook, Mollie Katzen changed the way a generation cooked and brought vegetarian cuisine into the mainstream. In The Heart of the Plate, she completely reinvents the vegetarian repertoire, unveiling a collection of beautiful, healthful, and unfussy dishes — her “absolutely most loved.” Her new cuisine is light, sharp, simple, and modular; her inimitable voice is as personal, helpful, clear, and funny as ever. Whether it’s a salad of kale and angel hair pasta with orange chili oil or a seasonal autumn lasagna, these dishes are celebrations of vegetables. 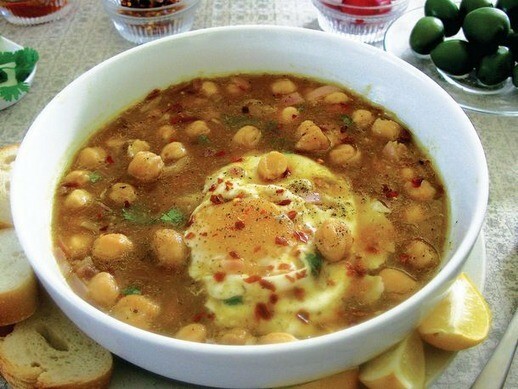 They feature layered dishes that juxtapose colors and textures: orange rice with black beans, or tiny buttermilk corn cakes on a Peruvian potato stew. Suppers from the oven, like vegetable pizza and mushroom popover pie, are comforting but never stodgy. Burgers and savory pancakes — from eggplant Parmesan burgers to zucchini ricotta cloud cakes — make weeknight dinners fresh and exciting. “Optional Enhancements” allow cooks to customize every recipe. The Heart of the Plate is vibrantly illustrated with photographs and original watercolors by the author herself.